McKnight's Fall Online Expo will feature three separate webcasts starting at 11 a.m. ET on Wednesday, September 20. A panel of experts will discuss essential long-term care issues such as payment, wound, technology, quality, and capital. Attendees will be eligible for 3 free continuing education credits (1 for each webcast that is attended live). Our Post-Acute Performance Cloud is the first and only cloud-based hosting and self-service platform for running your entire long-term care business. Use our applications to automate claims processing, procurement and workforce, or leverage dynamic operational views to visualize and control financial outcomes. Join us for Prime Care Technologies' August 2-3 Virtual Tradeshow. This show features seven strategic sessions with top post-acute providers and vendors who will discuss highly-efficient solutions for meeting your operational demands in purchasing, regulatory, staffing, revenue, claims and more. Don't miss free educational webinars offered through the McKnight's 2017 Spring Online Expo this Tuesday and Wednesday. And be sure to pop by our virtual booth to chat with the team or download our videos and brochures. We'll also be raffling off a free AMAZON ECHO to those who complete our post-acute business intelligence quiz. Prime Care Technologies is once again excited to be a part of this year's Leading Age Annual Meeting that brings together the leaders in our ever-changing industry to share ideas to better serve your residents. Check us out at booth 5214 for information about our Post-Acute Performance Cloud solutions, which are already helping hundreds of clients drive their post-acute care business. 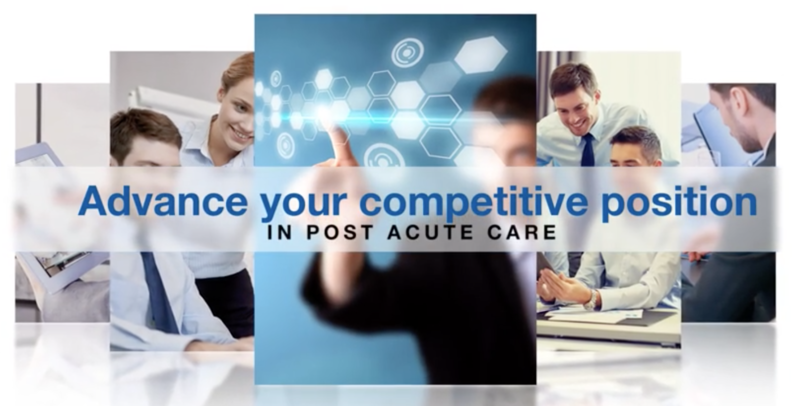 Take 60 seconds to watch our video and see for yourself what Prime Care Technologies is all about.